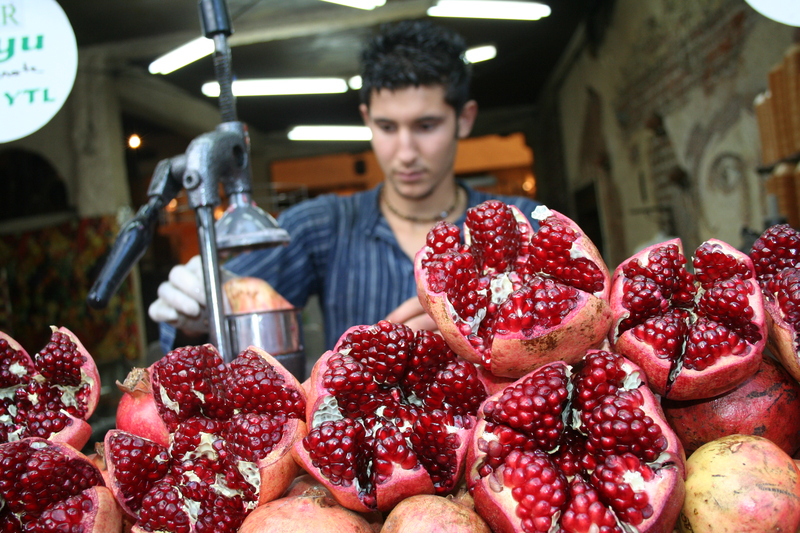 Susan Spear’s Opera The Price of Pomegranates, Now with Video! Poet and librettist Susan Spear studied with me in 2012, when I began teaching a course on the practical art of the opera libretto for the Western MFA poetry concentration. She started out with the notion of an opera based on the biblical book of Ruth. I urged her to think more broadly about the story and characters, and perhaps to modernize them in a meaningful way. She spent some time reading about the burgeoning Afghan immigrant community in Los Angeles. This turn proved auspicious, and the result is a beautiful opera, with music by composer Jerome W. Malek, called The Price of Pomegranates, a moving and intelligent story of family loyalty and personal freedom. It was performed at the Writing the Rockies festival in July. More official information on it appears below. I am inspired and enormously pleased by the work that Susan Spear has created. In 2015, Writing the Rockies inaugurated the New Opera Workshop, currently one of only several dozen such workshops in America. Join us this year, on Friday, July 22, at 4 pm in the Taylor Hall Studio Theater, for our second workshop, in which we will present The Price of Pomegranates, by Jerome W. Malek, with libretto by Susan Spear (MFA ’12). The workshop grows out of a course on the writing of libretti designed and taught by poet, librettist, critic, editor, and rare book dealer Ernest Hilbert, who will introduce the workshop and lead the conversation about the opera afterwards. Third-year MFA candidates in poetry at Western take the course as their summer intensive, and not only study the history of opera, but also draft an original libretto. Over the last several years, Western Poetry MFA alumni who have taken Hilbert’s class have successfully begun to seek out composers to score their work, and as a result we conceived the idea to bring these new operas to the public in a workshop format. A vital creative culture requires not just intense and sustained study and practice, but also ways to help bring new art to fruition. In the case of opera, that means opening the doors to full production of new work, a long process. Given the strong resources for opera in Colorado, we thought we could find a way to begin to do this, and we were correct. Our inaugural 2015 opera workshop was The Audubon Dream, by Karen E. Peace, with libretto by Western Poetry MFA alumna Laura Stuckey ’13. We presented the first act of this two-act opera in piano reduction, oratorio-style. The Graduate Program in Creative Writing is honored that two artists from Central City Opera were performers in our first year, 2015: soprano Emily Murdock and lyric baritone Dr. Adam Ewing. Two singers from Central City will again participate with us this year: mezzo Tracy Kaufman and lyric baritone Tom Stizler, whose bios appear below. Central City is one of the preeminent opera organizations in America and we count ourselves fortunate to enjoy participation of their singers in our workshop. Our hope is that the excellence all the artists bring to this workshop will give the composers and librettists the opportunity to continue developing their material and move towards fully produced performances with regional and national companies. Please join us for this exciting premiere. The first video contains introductory remarks by David Rothman and Ernest Hilbert. No one would blame you for skipping below directly to the music. Jerome W. Malek was born in Alexandria, Louisiana and received his education at Louisiana College and New Orleans Baptist Theological Seminary. He has served as minister of music in churches in Louisiana, Florida, Alabama, and Texas. In addition to his church positions, he has taught at George Wallace College, Louisiana College, Trinity University, Hispanic Baptist Seminary, and San Antonio College, and directed the Tuesday Musical Club Choir (SA) and Selma Choral Society. Publications include articles on church music, worship, and musical arrangements for handbells, choir, vocal solo, orchestra, and children. The latest compositions include the oratorio Seven Last Words, The Season of Joy (Four Christmas Suites for choir and orchestra) and Colorado Suite (orchestra). Now retired, Malek lives in San Antonio where he continues to compose. Susan Spear holds an MFA in Poetry with an Emphasis in Versecraft from Western State Colorado University. She teaches poetry and creative writing at Colorado Christian University in Lakewood, Colorado. Her poems have appeared in Academic Questions, The Lyric, Mezzo Cammin, Relief, Angle, The Rotary Dial and other journals, both print and on-line. In the fall of 2015, her poem “Like the Wedding Supper of the Lamb” was a finalist for the String Poet Prize, and her manuscript In Ordinary Time was a semi-finalist for the Crab Orchard First Book Prize. She serves as the Managing Editor of THINK, a journal of poetry, reviews, and criticism, housed at Western State. Conductor and Pianist Benjamin Makino is the current Music Director at Opera Memphis. Previously he was Assistant Conductor at the Long Beach Opera where he conducted that company’s highly praised productions of David Lang’s The Difficulty of Crossing a Field, Michael Nyman’s The Man Who Mistook His Wife for a Hat and Michael Gordon’s Van Gogh as well as the U.S. premieres of Gavin Bryars’ The Paper Nautilus and Stewart Copeland’s Tell Tale Heart. He also led the U.S. professional premiere of Ernest Bloch’s Macbeth at the Los Angeles harbor. He has previously been a director of the New York based Orchestra INSONICA, and is the founder of the Blackbird Music Project, which presented rarely performed works of vocal chamber music in Orange County, California. Under his leadership the Blackbird Music Project collaborated in a multimedia performance of Pierrot Lunaire with photographer and artist Jeff LeFever, and produced performances of vocal works by Luciano Berio, Marc-André Dalbavie, Tōru Takemitsu and Dmitri Shostakovich. During the fall of 2012, Ben was the Music Director for Opera Memphis’ 30 Days of Opera, an innovative program of 30 days of free concerts around the greater Memphis metropolitan area, including performances at several local library branches, the Cooper Young Festival, Trolley Night and at various points along the route of The Color Run, in which he ran the 5km course, stopping to perform arias on a portable keyboard that he carried with him during the race. Ben is a graduate of the Domingo-Cafritz Young Artist Program of the Washington National Opera where he was hand selected by Director Plácido Domingo. He made his main stage debut with that company conducting Hansel and Gretel at the historic Lincoln Theater. Other appearances with the WNO included a sold out run of performances of Così fan Tutte at the Washington National Opera Studio, and concerts at the Opera House of John F. Kennedy Center for the Performing Arts and the Music Center at Strathmore. Since relocating to Memphis, he has been a regular guest conductor with the Memphis Symphony Orchestra, and has also appeared with Ballet Memphis, and the New Ballet Ensemble and School. He is the conductor on the recently released recording of Mark Abel’s opera Home is a Harbor, on Delos Records. Ben completed studies at Chapman University and the University of California, Los Angeles and pursued advanced studies at the Accademia Musicale Chigiana in Siena, Italy. In 2014 he was identified by Opera America as a future leader in the field of Opera in the United States. Tracy Kaufman (Samira), a native of Edison, New Jersey, is a consummate and captivating artist who possesses a dramatic mezzo voice that has been described as “distinctive in color and beauty,” “capable of impressive flexibility and range,” and “an instrument of true Italianate verismo nature.” Ms. Kaufman has delighted audiences across the US, Canada, Italy, and Germany with diverse repertoire on the operatic and concert stages spanning cabaret, jazz, and musical theatre as well as opera. Connecting with large and intimate audiences alike through innovative recital programming has garnered such critical praise as, “Her radiance, talent and embodiment of the music…was breathtaking.” Currently Ms. Kaufman is working with Central City Opera, with offers in the works for several other stateside companies. She resides in Denver, Colorado where she maintains an active voice studio, working both in person and online. To learn more about her and her upcoming performances, visit www.tracykaufman.com. Rachel Payne (Ameena) is a native of San Jose California and her birth announcement actually read “8 lb 1 oz, soprano.” The latter is still true. An exciting and excitable soprano, her vocal quality reminds listeners of the golden age of singing. Her performing experience has varied from mainstage opera and musical theatre to video games and commercial jingles. She performs locally in Los Angeles and recently performed internationally in Austria, Italy and France. Favorite stage roles have included Nedda in Pagliacci and The Beggar Woman in Sweeney Todd. Last Fall Rachel released a new collaborative classical album entitled Mourning which takes listeners through the process of wanting, having, losing, and keeping hope after the loss of a child. This album marks the second full vocal release for Rachel. Her first,Twisted Folk, is a solo recording featuring the work of contemporary composers fusing classical folk melodies in modern classical settings. Last year, Rachel and fellow soprano Alisa Peterson began a new venture in the world of blogging and podcasts with the start of The Transparent Singer: Daring Divas Keep it Real. This is a grass roots forum dedicated to aid singers in navigating the world of creating art that matters. Visitwww.thetransparentsinger.com. Another venture in the world of producing is for a musical called Anthem which was performed as a mentored production in The Chicago Musical Theatre Festival and featured in the New York Fringe Festival in 2014. Visitwww.anthemmusical.com for more information. In August of 2015, Rachel produced and performed in a new musical oratorio entitled,Facebookatorio as part of the Southern California UnSUNg series. In December, Rachel was the featured soloist in the Lompoc Pops holiday concert, and early 2016, Rachel organized and performed two concerts in Paris, one of which was a dedication to the victims and families of the attacks in November of 2015. Visit the news section ofwww.reallyrachel.com for updates on upcoming performances and projects in development. Tom Sitzler, lyric baritone (Rastin), has had a varied background, from being an Eagle Scout to earning a black belt in Judo. Growing up in Arizona as the youngest of three boys from a musical family, Tom found classical music and it became his passion. In 2009, he stepped into the professional arena as the Old Gypsy in Il Trovatore with Union Avenue Opera. Among other programs, Tom participated in the Victoria J. Mastrobuono Emerging Artist Program, in New Jersey, covering Figaro in Il Barbiere di Siviglia. Last year, he sang the title role from Argento’s opera The Boor with Gateway Opera, where Mark Bretz from Ladue News said, “Tom Sitzler proved his own skills both with his strong singing style and a good way with comedy.” Upcoming performances include Mozart’s Don Giovanni, Beethoven’s Mass in C, and Haydn’s Missa in Angustiis. Find out more atwww.tomsitzler.com. Adam Buer (guitar) received a Bachelor of Music Degree in Instrumental Music Education and a Master of Music Degree in Guitar Performance from the University of Idaho. As a music instructor he has worked for the University of Colorado at Boulder, Front Range Community College, Jarrow Montessori, and the Parlando School for the Arts. As a solo guitarist Adam has won prizes in a number of competitions including those at the 2005 Northwest Guitar Festival, the 2005 Music Fest Northwest, and the 2004 Idaho Federation of Music Clubs. He has performed with the Symphony Orchestras of Spokane and Walla Walla as well as the Boulder Guitar Orchestra. Adam’s teachers have included James Reid, Nicolo Spera, and Dale Bruning. He has also studied in master classes with such notable guitarists as Christopher Parkening, Bryan Johanson, and Alieksy Vianna. Since 1990 Sean Claire (violin II) has been a core member of the Knoxville Symphony Orchestra and Knoxville Symphony Chamber Orchestra. During his tenure he has served as Acting Associate Concertmaster, which included an extended period as Concertmaster, and has twice held the position of Acting Principal Second Violin and member of the KSO Principal Quartet. He has appeared as soloist with the KSCO several times and also holds the distinction of being the only solo performer in the KSO Music and Wellness program. In addition, Claire holds the position of Concertmaster of the Symphony of the Mountains in Kingsport, TN, performs with the Crested Butte Music Festival, and is a founding member of the Sally Miner String Quartet. Born in California, Claire began his training at age 11, made his first solo appearance with the North Coast Symphony at 15, and at 16, he was admitted to San Diego State University with a full scholarship; he later continued studies at the Eastman School of Music with renowned Professor, Zvi Zeitlin. Laine Ludwig (dumbek) has studied and played all manner of drums and percussion since he was eleven, and has taught since age fifteen. Laine studied traditional drums and ensemble with Ghanaian Kwaku Ladzekbo, Nigerians Tunji Vidal and Babatunde Olatunji. He studied Malinke, Baga, Kassouke, and Susu drumming traditions with many master drummers, including Mamady Keita and Fara Tolno of Guinea and Moussa Bangoura of Mali. He has also studied Brazilian samba, condomble and batucada with Ananias d’Alcantara and Ilirio DaSilva, bata ensemble with Marcus Gordon and traditional Afro-Cuban music with Kim Atkinson. He studied dumbek with Vince Delgato. He attended Ali Akbar College of Music, where he studied with Ali Akbar Khan, Gnan Ghosh and Zakir Hussain, among others. He has been a member of many bands, was a founding member of the percussion ensembles Island Nation Percussion Ensemble, Cuero a Cuero, and Ballet Fote Kan. He has recorded on numerous albums and CDs, including with Paa Kow’s By All Means Band. Born and raised in Colorado, he attended University of Colorado, Boulder, holds degrees from University of California, Sonoma and Eastern Oregon State College and a masters in Education from Adams State College. Laine has performed assemblies and conducted workshops for children and adults in Oregon, Hawaii and Colorado. His career as schoolteacher spanned 23 years and two states. Matt Milewski (violin I) joined the Fort Worth Symphony Orchestra in 2010 after five seasons with the Louisville Orchestra. He has been a soloist with the Manhattan Chamber Sinfonia, South Carolina Philharmonic and the California Music Festival, and has performed as an orchestral member with the Charleston, Cincinnati, Grand Rapids, Houston, Indianapolis, Nashville, and St. Louis Symphonies. Matt also enjoys performing in the Crimson Duo with fellow Crested Butte Music Festival musician, Jaymee Haefner. He studied at Interlochen Arts Academy, completed his undergraduate studies at Indiana University and received a Masters of Music in Orchestral Performance from the Manhattan School of Music. In the summers, Matt enjoys creating beautiful music in wonderful places like the Artosphere Music Festival in Arkansas and Baroque on Beaver in Michigan, as well in Crested Butte, where Matt has performed since 2006. Nicholaus Yee (viola) completed his doctoral studies at the Thornton School of Music at the University of Southern California, where he was the teaching assistant to Dr. Pamela Goldsmith and Professor Donald McInnes, and attended as a full fellowship recipient. In addition to his viola studies, he is trained as an instrumental conductor, early music specialist, and music educator, topics he studied as part of the rigorous and multi-faceted program at USC. An avid chamber musician, he was honored to perform with the renowned violinist Midori Goto shortly after her faculty appointment at USC. Nick has been heard in broadcast on KUSC 91.5 both in chamber and orchestral music performances. Ensembles he has been a member of include the USC Symphony and Chamber orchestras, the USC Early Music Ensemble, and the Pacific Symphony Orchestra. Nick has performed with such musical legends as Yo-Yo Ma, Bobby Mcferrin, Lynn Harrell, Doc Severinsen, Gary Graffmann, and David Shifrin. Conductors he has worked with include Carl St. Clair, John Williams, Esa-Pekka Salonen, Sergiu Commissiona, Stanislaw Skrowaczewski, and Lucinda Carver. Nick is a member of the San Bernardino and the Redlands Symphony Orchestras. As principal viola of Del Gesu Strings, Nick toured South America, playing concerts in Panama City (Panama), San Salvador (El Salvador), Quito (Ecuador), and Santiago (Chile). Locally, he has collaborated with various musicians presenting chamber music concerts, and is a member of the Chamber Players of Los Angeles. A dedicated educator, Nick has taught privately for over 20 years at public and private schools and youth orchestras since 1995. From 2008 to 2011, he was a conductor for the Irvine Young Concert Artists orchestra and he was recently appointed to the faculty for Junior Chamber Music in Orange County. Enid Holden, Opera Workshop Coordinator, is a member of the Advisory Board for the Poetry Concentration in Western’s Graduate program in Creative Writing. She is a singer-songwriter, playwright, writer, lyricist and librettist and holds degrees in Fine Arts, English, History of Art and Theatre. Before moving to Gunnison ten years ago, she served on the board of the Potomac Theatre in Maryland and a member of a professional children’s theatre group. She became an alumna of Western after completing a BA in Music here in 2011. She has had two plays performed in the Western short play festival and has also participated in summer intensives and screenwriting courses in the MFA program at Western. Enid was nominated for a WAMMY (Washington Area Music Association) award as a recording artist, making her debut with Siya Jika in 2009. Since then she has recorded a solo album and has written the book and lyrics for “Getting It Wright,” a musical comedy about the Wright Brothers. Recently Justus Parotta set her libretto “Lottie Silks,” and it was work shopped in the 2014 Catholic University of America New Voices vocal festival in Washington, DC. She founded the Gunnison Opera Study Group, a community initiative, and sings with the Crested Butte Music Festival chorus annually. She has a local event space, The Fashion Café, where she has hosted Word Horde and other readings. She also writes a column on local culture for The Gunnison Times. Scott Little, Technical Director of Theatre at Western, is a lighting, sound, and scenery designer also trained in technical direction and production. He has worked at Emory University, The University of South Dakota, Oklahoma State University and Oakland University and has designed more than 100 productions. He has also worked with professional theater companies including Meadowbrook Theatre, The Alliance Theatre, Theater Emory, and the Black Hills Playhouse. The Price of Pomegranates is the story of Ameena, a young Afghan widow, Samira, her mother-in-law, and Rastin, Samira’s cousin. After Ameena’s husband was killed by the Taliban for his work as a translator for coalition forces, she was given special immigrant status by the US government. Because of her deep love and concern for Samira, who is also widowed, Ameena negotiated immigrant status for her as well. Ameena has no children and no special skills, and she works as a clerk in the local Afghan grocery store. She speaks functional English. Samira is in her late 60s, speaks no English and has never worked outside her home. After she was widowed, she became dependent on her son, Ameena’s husband. When he was killed, she was left alone. She and her Samira have immigrated to Fremont, California. Rastin is a 50-year old widowed medical doctor from Kabul, who now works cleaning offices in a medical building in Fremont. He earns just enough to live and is working on becoming certified to practice medicine in California. He speaks English. He has adult children in Afghanistan. As all three of the main characters begin to build their new lives, generations and cultures clash.